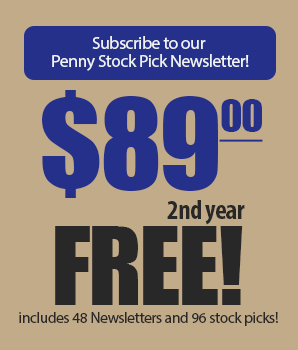 Pennystock picks from Global Penny Stocks – Page 2 – Get the latest picks for pennystocks. GALENA BIOPHARMA, INC. & MINDSPEED TECHNOLOGIES, INC. Since the last Newsletter, we have closed seven positions; four for gains and three for losses. PIXELWORKS (11/20/10). Closed position 8/7/13 at $5.20 for a 57% GAIN. SENOMYX (5/20/12). Closed position 8/2/13 at $3.83 for a 64% GAIN. VICAL (6/20/13). Closed position 8/2/13 at $4.45 for a 52% GAIN. PERFORMANCE TECHNOLOGIES (7/20/09). Closed position 8/12/13 at $3.60 for a 25% GAIN. BIODEL (2/20/11). Closed position 8/7/13 at $5.18 for a 35% LOSS. USA TECHNOLOGIES (6/5/09). Closed position 8/2/13 at $2.10 for an 18% LOSS. ECOtality (11/5/11). Closed position 8/12/13 at 40 cents for a 75% LOSS. 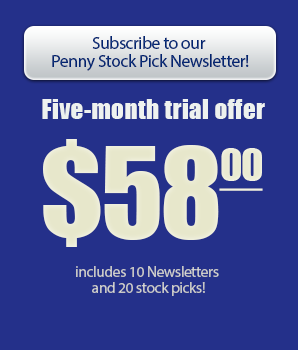 Since the last Newsletter, we have closed five positions; four for gains and one for a loss. RESPONSE GENETICS (10/20/12). Closed position 7/18/13 at $1.89 for a 51% GAIN. TELECOMMUNICATIONS SYSTEMS (11/5/12). Closed position 7/25/13 at $3.20 for a 52% GAIN. XOMA CORPORATION (4/5/13). Closed position 7/29/13 at $5.52 for a 58% GAIN. INOVIO PHARMACEUTICALS (10/20/10). Closed position 7/31/13 at $2.14 for a 78% GAIN. CYTOKINETICS (2/5/10). Closed position 7/29/13 at $12.94 for a 28% LOSS. DISCOVER LABORATORIES, INC. & MEETME, INC. Thanks to the recent comments from the Fed chairman, it appears the markets have shrugged off their recent fears about tapering. Also helping is the fact that July has traditionally been one of the market’s better months. Even the smaller stocks at our end of the financial spectrum have been getting a nice lift. And no, we did not close any positions since the last Newsletter, but we are not overly concerned, since these things seem to come in spurts; such as the sixteen positions we closed during May and June. Boy, what a bunch of sissies! The first hint that Chairman Ben may gently turn the spigot from gusher mode to something- less-than gusher mode and all of those big bad hedge fund and ETF traders go into full panic. And that pretty much sums up the market downturn during June. What’s next? Right now, investors are trying to determine if the economy is healthy enough to withstand any Fed easing. If the verdict is that it can, then we could see a nice summer rally. If the opposite is perceived, then we could be in for a lot of ugliness. VELTI PLC & VICAL, INC.
CERES, INC. (6/5/13). Closed position 6/12/13 at $3.90 for an 80% GAIN. AVANIR PHARMACEUTICALS (6/5/12). Closed position 6/14/13 for a 55% GAIN. ECHO THERAPEUTICS (3/20/12). Closed position 6/7/13 at $5.61 for a 74% LOSS. Since the last Newsletter, we closed ten positions; six for gains and four for losses. VERMILLION, INC. (6/20/12). Closed position 5/29/13 at $3.90 for a 66% GAIN. BALLARD POWER SYSTEMS (3/20/12). Closed position 5/29/13 at $2.35 for a 57% GAIN. NANOSPHERE (4/20/13). Closed position 5/23/13 at $3.78 for a 64% GAIN. JAMBA, INC. (3/20/11). Closed position 5/23/13 at $3.15 for a 52% GAIN. REAL GOODS SOLAR (1/20/11). Closed position 5/20/13 at $6.78 for a 160% GAIN. PEREGRINE PHARMACEUTICALS (3/5/13). Closed position 5/20/13 at $2.02 for a 54% GAIN. BIOSTAR PHARMA (4/20/11). Closed position 5/20/13 at 75 cents for an 85% LOSS. REXAHN PHARMA (7/20/10). Closed position 5/23/13 at 43 cents for a 69% LOSS. CYTRX (1/5/10). Closed position 5/29/13 at $2.40 for a 68% LOSS. GLEACHER & CO. (6/5/11). Closed position 5/30/13 at 70 cents for a 68% LOSS. INSPIREMED, INC. & ANTARES PHARMA, INC. Since the last Newsletter, we at last ended a long drought and closed four positions; three for gains and one for a loss. Novatel Wireless (8/5/12). Closed position 5/14/13 at $3.60 for a 52% GAIN. UNILIFE CORPORATION (1/5/13). Closed position 5/13/13 at $3.82 for a 70% GAIN. RELM WIRELESS (11/5/10). Closed position 5/13/13 at $3.43 for a 67% GAIN. OCULUS INNOVATIVE SCIENCES. Closed position 5/7/13 at $5.60 for a 60% LOSS. MELA SCIENCES, INC. & CYTORI THERAPEUTICS, INC.
As we alerted you in the last issue, this Newsletter is being posted a few days earlier than usual, and we apologize if there is any inconvenience. Despite April’s tragic events and a plunge in commodity prices, which caused a minor sell-off, the markets have survived pretty well, thanks to the continuous liquidity being provided by the world’s central bankers. And now we hear that some European countries may lighten up on their austerity programs in favor of more government pump-priming. Easy money has now become an addiction, and, like all addictions, it will not be easy to break. We only wish more of it would spill over to small stocks. The last few months have been a conundrum. This has been one of the few times in market history when small stocks have not really benefited from the rising tide of the mid and big caps. And yes, this has been driving us nuts, but, at some point, this maddening wait will end. NANOSPHERE, INC & SYNACOR, INC.
That rising tide in the Dow and S&P averages we mentioned in the last Newsletter still is eluding most small stocks, which many explain why we have not closed more positions this year. Actually, many pundits have commented on how this rally has been light on volume and on breath. That should be a warning sign, but, with the rest of the world in some sort of financial turmoil, people prefer putting their funds into the U.S. markets where there is a perception of safety. So, when does more of this money start to filter down to the small and micro-cap stocks? When the Big Caps are deemed to be over-valued and funds start a new rotation. We sense this may be happening soon. Since the last Newsletter, we closed one position for a very nice and unexpected gain. REVOLUTION LIGHTING (12/5/11). Closed position 3/27/13 at $2.46 for a 102% GAIN.